Butea superba is a plant long used in certain systems of traditional medicine, including traditional Thai medicine. Available in dietary supplement form, the roots of Butea superba contain compounds said to improve sexual function. In scientific studies, Butea superba's roots have been found to contain a variety of flavonoids (a class of compounds with antioxidant effects). 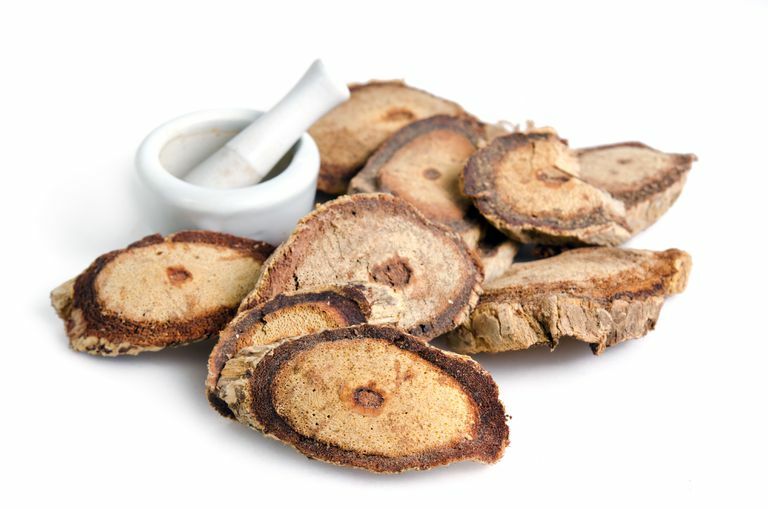 Thought to act as an aphrodisiac, Butea superba is typically used in alternative medicine to enhance sexual performance and treat erectile dysfunction. In addition, Butea superba is sometimes used in alternative medicine for such health problems as diarrhea and fever. Butea superba is also purported to improve fertility. So far, most of the evidence for Butea superba's potential health benefits comes from preliminary research on animals. For example, several rat-based studies published in recent years show that Butea superba may aid in the treatment of erectile dysfunction. These studies include a report published in the journal Andrologia in 2012, in which tests on diabetic rats determined that Butea superba may help improve erectile function by stimulating circulation. In addition, a rat-based study published in the journal Fitoterapia in 2006 found that treatment with Butea superba helped to increase the animals' sperm counts. While few studies have tested Butea superba's effects on human health, one clinical trial published in the Asian Journal of Andrology in 2003 suggests that the herb may help treat erectile dysfunction. Analyzing findings on a group of volunteers (ages 30 to 70) with erectile dysfunction, the study's authors found that three months of treatment with Butea superba extract led to significant improvement in erectile function for most of the patients. Although little is known about the safety of regular use of Butea superba, some findings from animal-based research indicate that the herb may have adverse effects on blood chemistry and testosterone levels. Given these potential health risks, consulting a physician prior to using Butea superba is advised. Several natural remedies show promise in the treatment of erectile dysfunction. These remedies include ginseng and maca (two herbs widely available in dietary supplement form). What's more, making certain lifestyle changes (such as quitting smoking, achieving and maintaining a healthy weight, and managing chronic stress) may help fight erectile dysfunction. Additionally, some natural substances may help improve sexual function in women. For instance, research suggests that use of DHEA (dehydroepiandrosterone) may lead to a significant increase in libido and sexual satisfaction in women over the age of 70. However, it should be noted that DHEA may interfere with the production of male and female hormones, as well as alter liver function. Therefore, it's important to talk to your doctor if you're considering the use of DHEA supplements. If you're seeking a natural approach to enhancing fertility, acupuncture may be beneficial. In a research review published in the Chinese Journal of Integrative Medicine in 2011, for instance, investigators found that undergoing acupuncture may boost fertility in women and improve the outcome of in vitro fertilization (possibly by improving ovulation). There's also some evidence that the use of antioxidant supplements among males with fertility problems may help improve sperm motility and concentration and, in turn, increase the couple's chances of conceiving. You can purchase dietary supplements containing Butea superba online, as well as in many natural-foods stores, drugstores, and stores specializing in natural products. Due to the limited research, it's too soon to recommend Butea superba as a treatment for any condition. It's also important to note that self-treating a condition and avoiding or delaying standard care may have serious consequences. If you're considering using Butea superba, make sure to consult your physician prior to starting your supplement regimen. Cherdshewasart W, Bhuntaku P, Panriansaen R, Dahlan W, Malaivijitnond S. "Androgen Disruption and Toxicity Tests of Butea superba Roxb., a Traditional Herb Used for Treatment of Erectile Dysfunction, in Male Rats." Maturitas. 2008 Jun 20;60(2):131-7. Cherdshewasart W, Nimsakul N. "Clinical Trial of Butea superba, an Alternative Herbal Treatment for Erectile Dysfunction" Asian J Androl. 2003 Sep;5(3):243-6. Huang DM, Huang GY, Lu FE, Stefan D, Andreas N, Robert G. "Acupuncture for Infertility: Is It an Effective Therapy?" Chin J Integr Med. 2011 May;17(5):386-95. Manosroi A, Sanphet K, Saowakon S, Aritajat S, Manosroi J. "Effects of Butea superba on Reproductive Systems of Rats." Fitoterapia. 2006 Sep;77(6):435-8. Showell MG, Brown J, Yazdani A, Stankiewicz MT, Hart RJ. "Antioxidants for Male Subfertility." Cochrane Database Syst Rev. 2011 Jan 19;(1):CD007411. Tocharus C, Sooksaen P, Shimbhu D, Tocharus J. "Butea superba (Roxb.) Improves Penile Erection in Diabetic Rats." Andrologia. 2012 May;44 Suppl 1:728-33. Tocharus C, Smitasiri Y, Jeenapongsa R. "Butea superba Roxb. Enhances Penile Erection in Rats." Phytother Res. 2006 Jun;20(6):484-9.